The days are deadly hot now! This means that it is a time for outdoor to avoid the summers not to burn you! 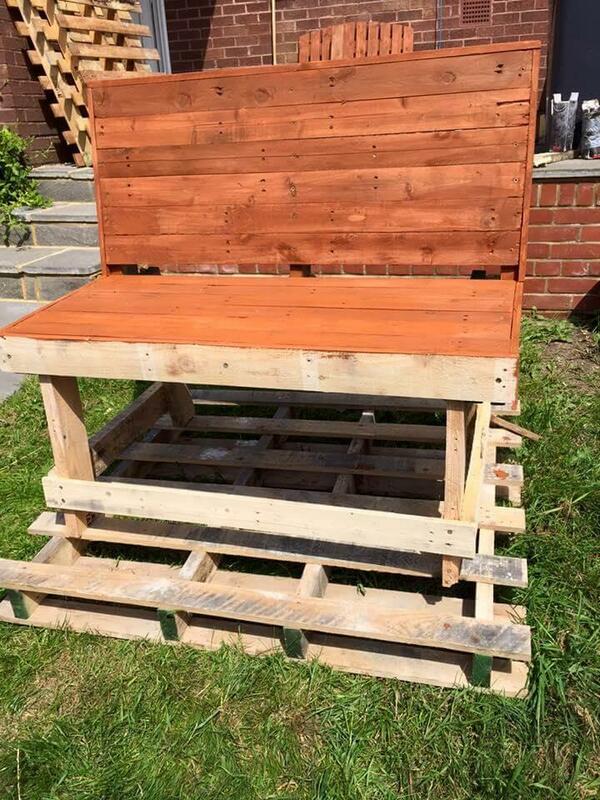 We are here to let you know about some clever DIY pallet projects to add fun to your outdoor to make it summer-friendly! It’s a time to get fully benefited with rectangular shapes of pallets and let the magic begun here!!! Really want a focally stimulating and full of fun outdoor? Then just add some beautiful pieces of cushioned benches, chairs and sofas to it for a visual and functional boost this would be good too to enjoy your outdoor parties and BBQ feasting! 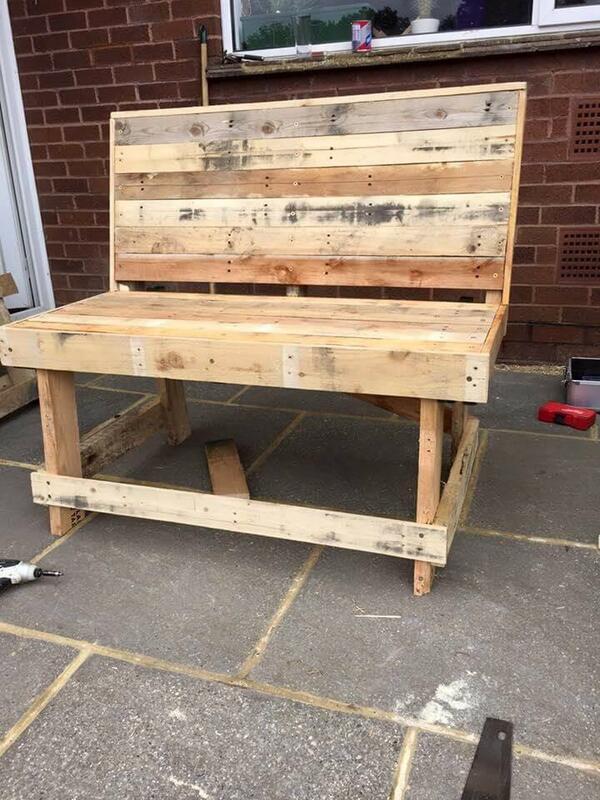 This reclaimed wood pallet bench will rock your outdoor and is pretty simply to build at home! Just build the two heavier wooden boards or panels and let them make an L-shape, you berth and backrest section is ready! Just finish it with some durable wooden legs and have fun! 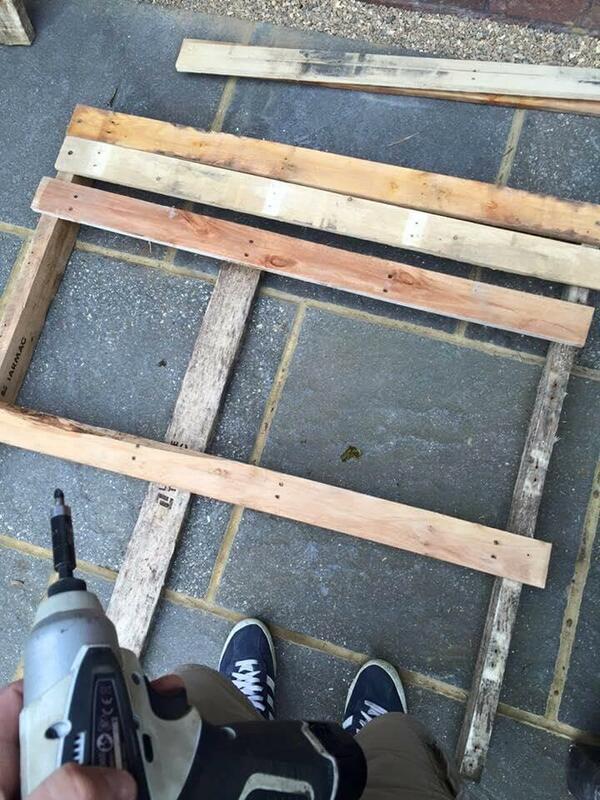 Sanding and gritting of wood can makes you get with much better results! 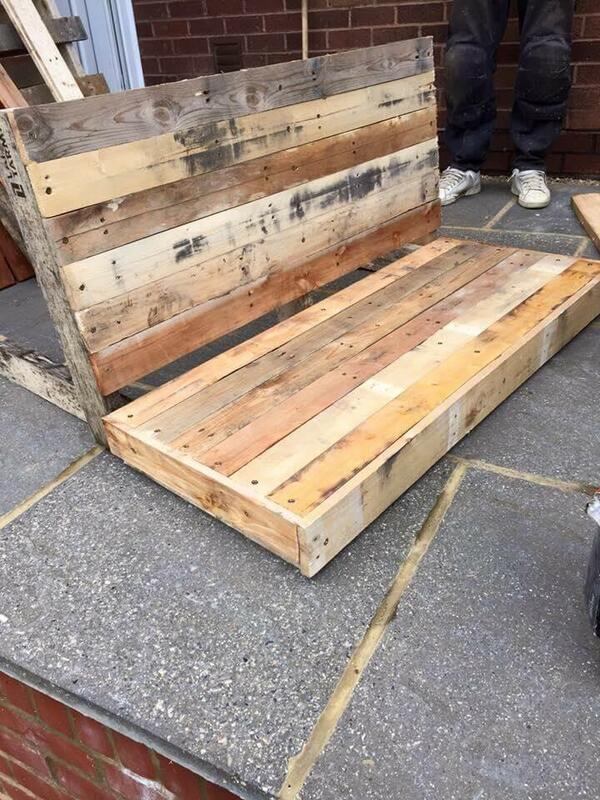 You can check here the full details and pallet sofa tutorial here to get helped! 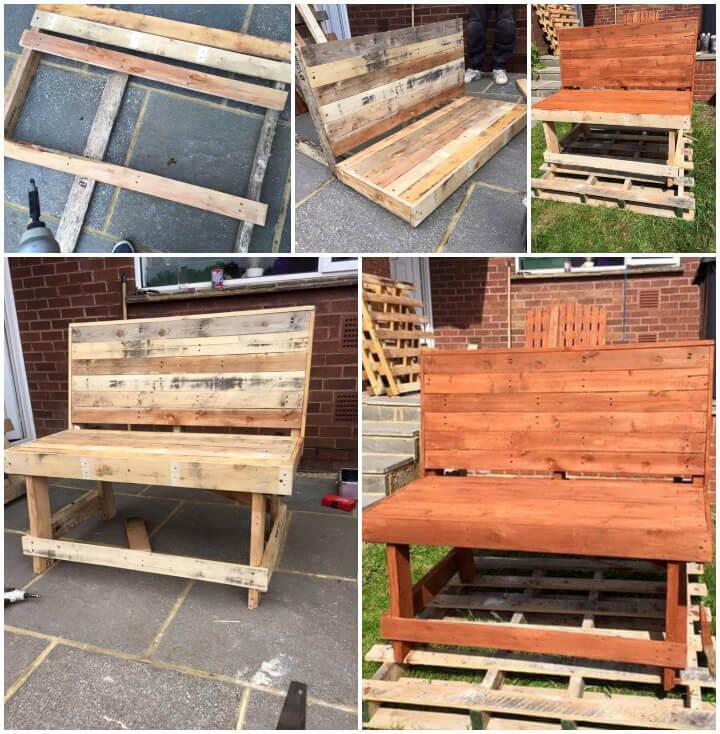 Deconstruct the pallets and then use the removed pallet slats to plan any section of the bench structure! Use of proper tools can assist to get it in quicker way! 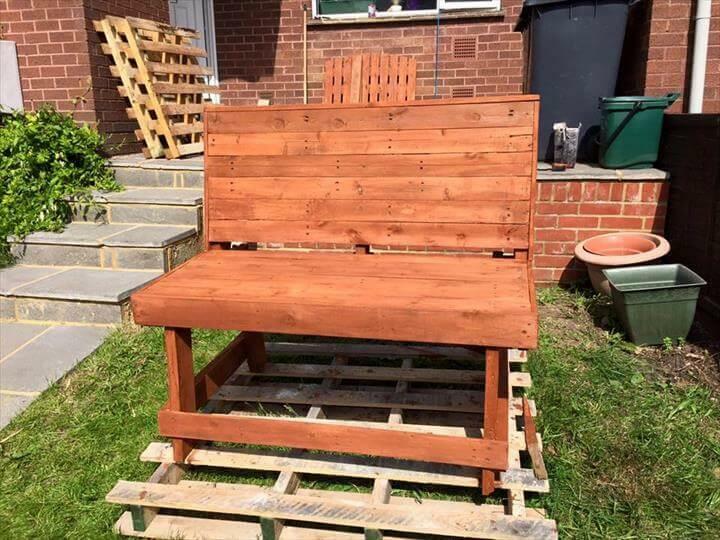 2 sturdy rectangular panels have been constructed with removed pallet slats and have been put perpendicular to each to give the berth and backrest section of the bench! Here is how you can add some sturdy legs! Get beefy ones to support the weight of you and top level! Stain is a perfect choice to accent the wood and also make the wood more stable and lasting! 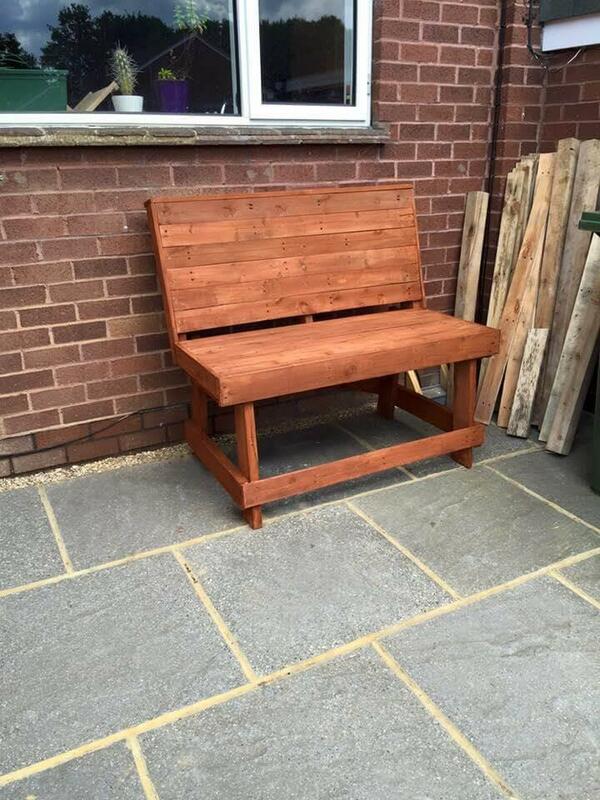 This bench has been finished with brick red stain! You can also make use of paint to get your bench dignified and pleasing to eyes! A cushion on the top can make your get with more fun and comfort for sure! Such a benches are always memorable to place in garden or at lounge! You home front porch, backyard, terrace and balcony can also accept this bench with open arms!